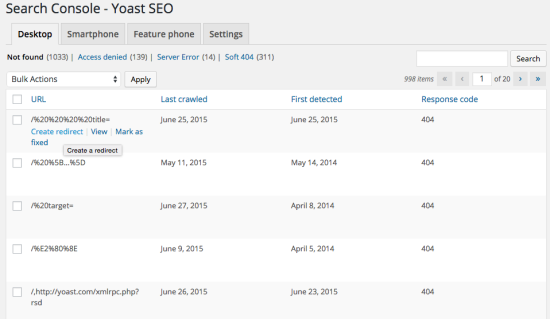 We’ve just released a major release of Yoast SEO, bringing it up to version 2.3. This new version of Yoast SEO helps you optimize your site and keep it optimized. It shows errors straight from Google’s Search Console, and points you at posts that need work. But first of all, we’ve changed the name! Nearly everybody we know already called it “Yoast SEO”. We were stubborn enough not to do that. It used to be just “WordPress SEO”. 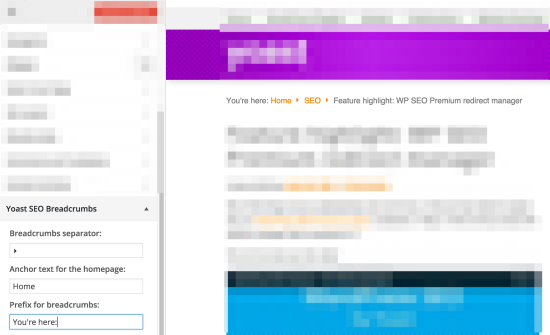 It became “WordPress SEO by Yoast” somewhat later, now, we’ve finally caved. The plugin will henceforth be known as Yoast SEO. Somewhat in jest, we add “for WordPress” to that. We do that as we’re working on making our SEO plugin available for other platforms. This release brings a feature that used to be specific to Yoast SEO Premium to Yoast SEO free. Google released a new version of the API for their Webmaster Tools. It also recently renamed it to “Search Console”. This new API meant we had to rebuild things anyway and as we did that we decided to make this feature available to everyone. The option to create redirects straight from this interface will remain premium. But if you can create redirects in another way, this is a great, free, way to make sure your site stays optimized. Instructions on how to make this work with your theme(s) can be found here. There are literally tons more small bugfixes in this release, so we’re certain we can say this is the best Yoast SEO ever. So, go update and tell us what you think! And to top it all off, we now also have a sale on our Yoast SEO Premium plugin! It is now exactly the same pricing as our other SEO plugins, so it starts off from $69! This post first appeared as Yoast SEO 2.3 on Yoast. Whoopity Doo!